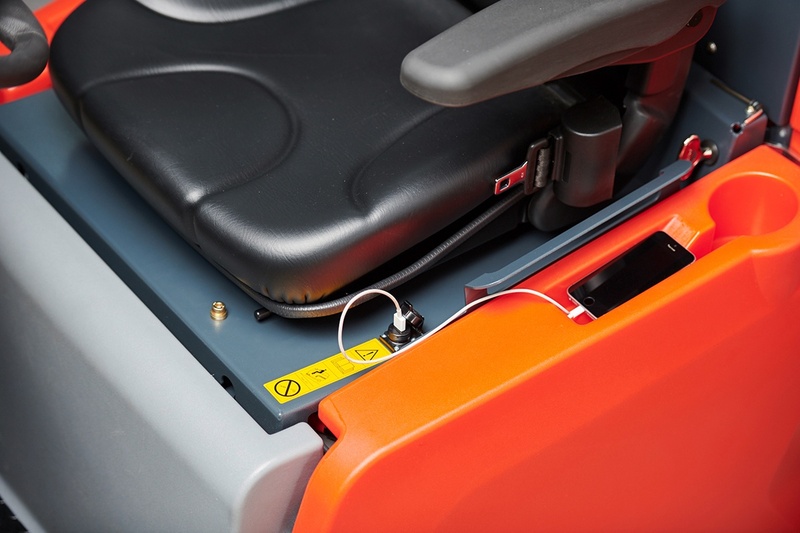 Simplicity-ONE Button Operation for easy use by the operator . 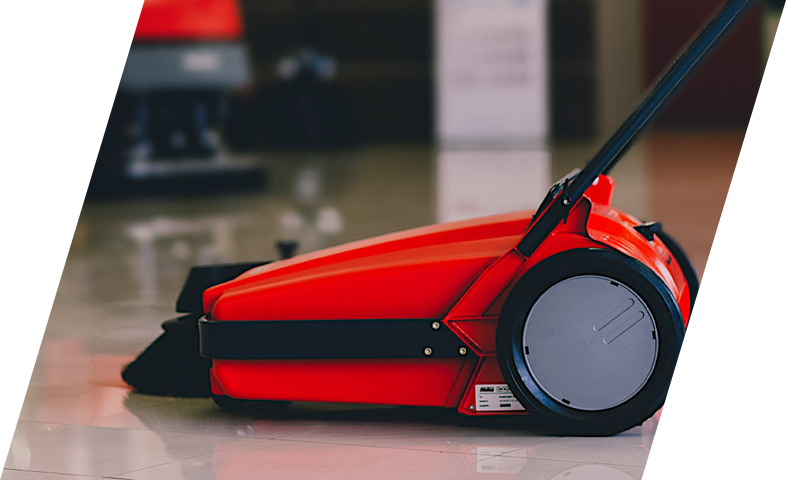 Reduce training time. 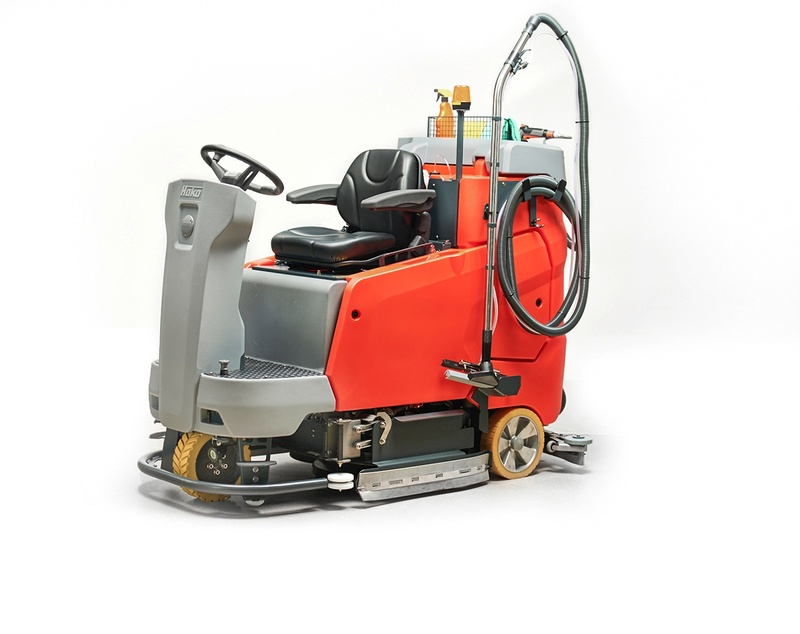 On-Board dosing system for chemical free cleaning (optional). Trademark Hako Dry clean floors in a single pass of cleaning. 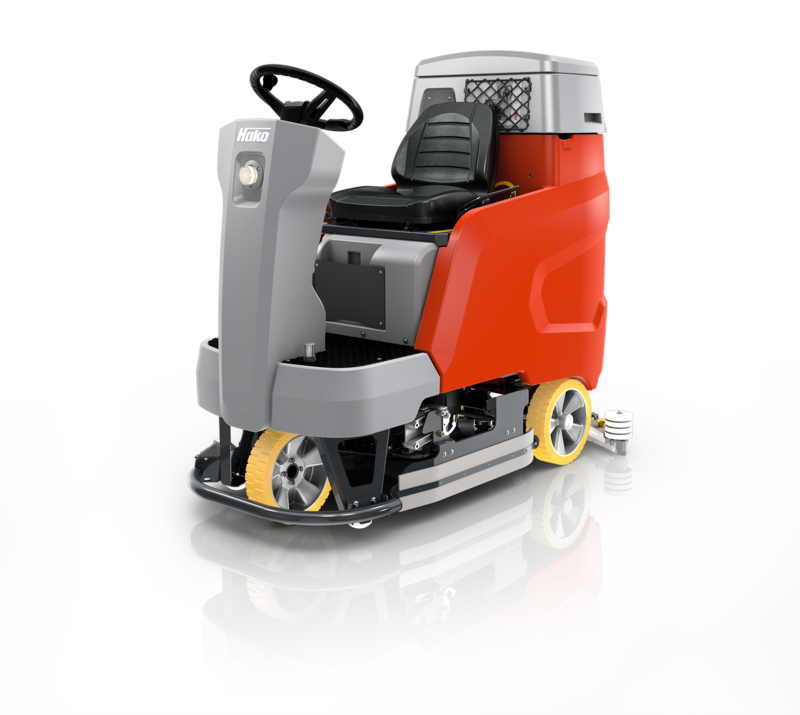 The new Hako Scrubmaster B175 R Electric battery powered scrubber is the latest new addition to the Hako Scrubmaster range. 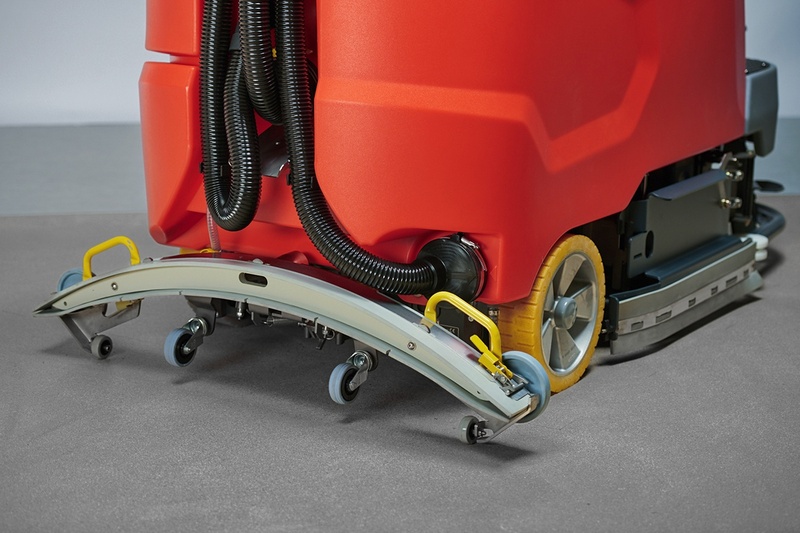 No scrubber drys or cleans the floor like the Scrubmaster B175 R- Increased area performance with superior easy maneuverability: The ease of the driving and comfort makes this model a standout. The Scrubmaster B175 R Electric scrubber has been designed to meet the highest demands when it comes to cleaning high traffic environments such as shopping centres, production factories, train stations and airports. 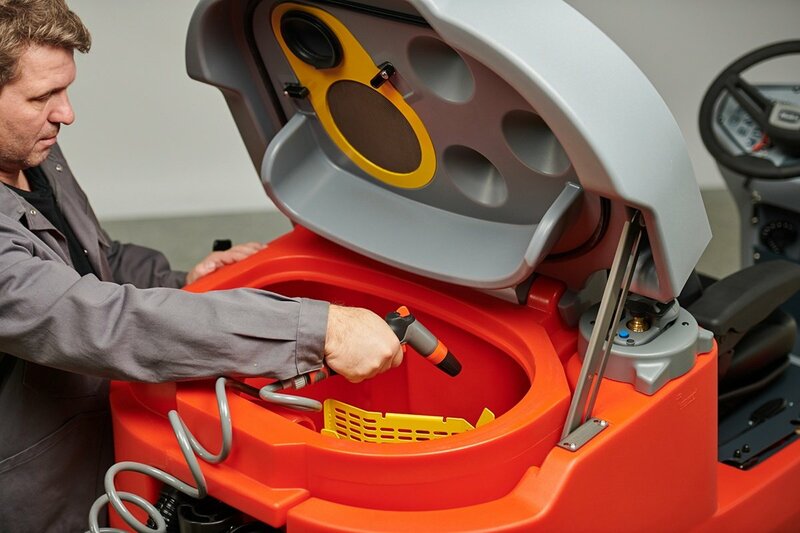 With its tank capacity of 175 litres, with up to 260 litre utilisation using the Hako Patented Aqua Control and Aqua Stop Brush System. 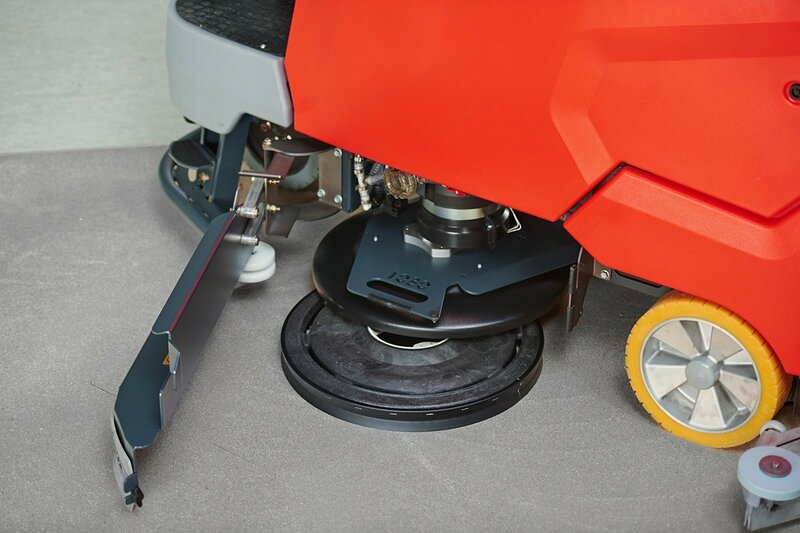 Combined with high operational cleaning and drying performance, the B175 R is available in 3 different working widths of 900mm and 1080mm for disc and 850mm for the cylindrical configuration. 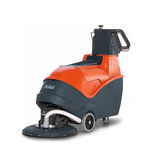 The machine enables fast and efficient cleaning of large and medium-sized areas. 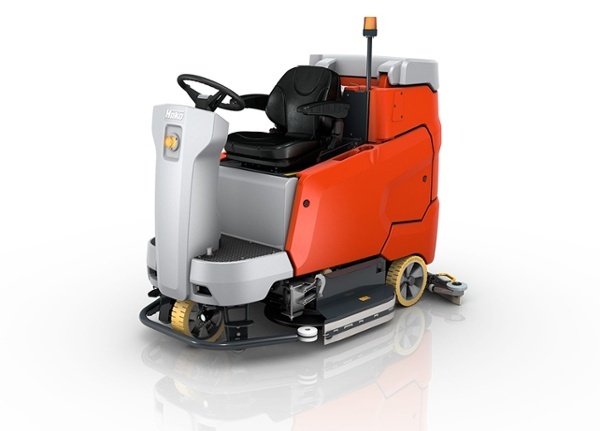 Moreover, its compact dimensions and a 90-degree steering angle make the Scrubmaster B175 R the most maneuverable and flexible to use. 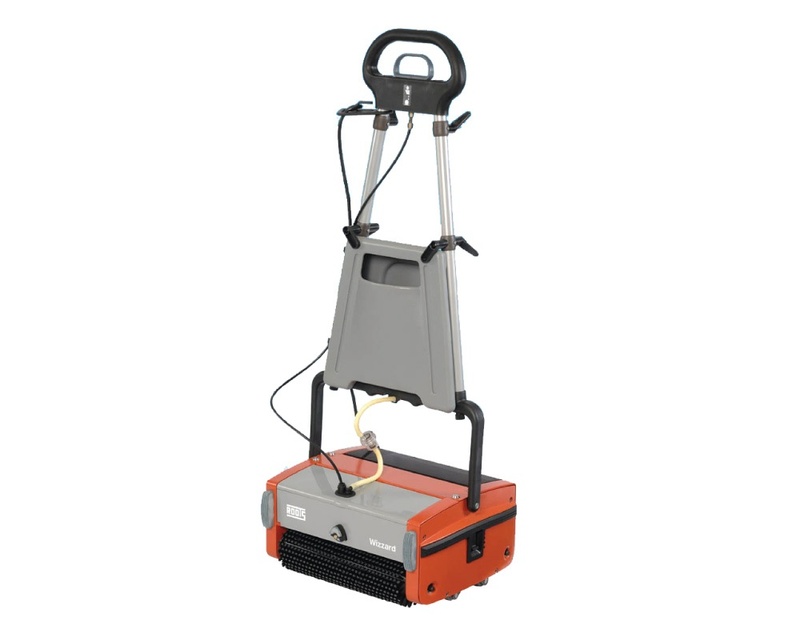 It can be tailored to specific site needs with various adaptable configurations. The Scrubmaster B175 R provides the perfect comfort for the operator: truly ergonomic design and equipped with sophisticated simple details that ensure efficient working. 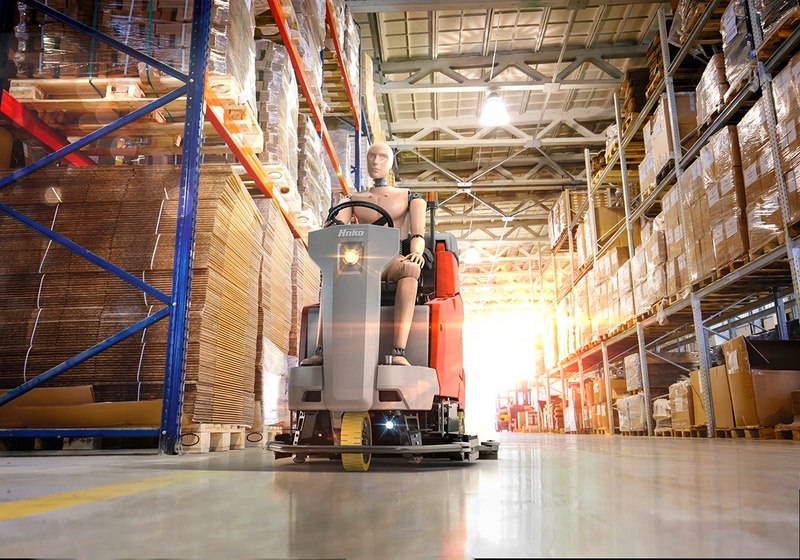 Hako – Innovative ideas that deliver productive effective daily work routine.